﻿ Port View House Cape Town. JIMAT di Agoda.com! Ada soalan mengenai Port View House? Diubahsuai pada tahun 2012, Port View House memberi jaminan kepada tetamu penginapan yang menyeronokkan di Cape Town sama ada untuk perniagaan atau berseronok. Keseronokan pusat bandar hanya sejauh 2.0 km sahaja. Dengan tarikan utama di bandar ini seperti Gereja Baptist Meadowridge, Green Point Track, Muzium Perubatan Cape berada pada jarak yang dekat, pengunjung hotel pasti akan menyukai lokasinya. Port View House menawarkan perkhidmatan yang sempurna dan semua kemudahan penting untuk menceriakan pelancong. Hotel ini menawarkan Wi-Fi percuma semua bilik, pengemasan harian, khidmat teksi, Wi-Fi di tempat awam, tempat letak kereta untuk memastikan tetamu menikmati keselesaan yang terbaik. Masuklah ke salah satu dari 8 bilik tetamu kami dan tenangkan hati anda dengan pelbagai kemudahan seperti internet wayarles, internet wayarles (percuma), bilik larangan merokok, meja, bar mini yang boleh didapati di beberapa bilik terpilih. Hotel ini menawarkan banyak peluang rekreasi yang unik seperti kolam renang terbuka, taman. 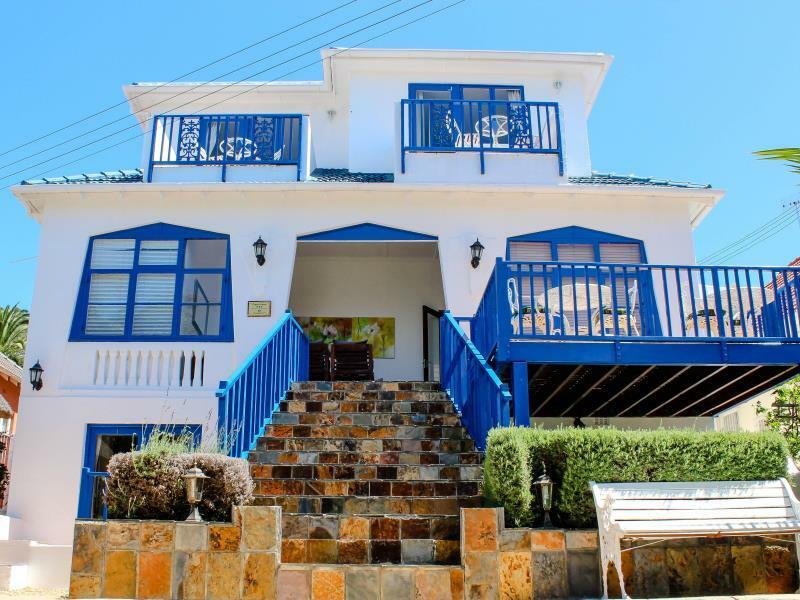 Port View House merupakan tempat yang ideal bagi penginapan pelancong yang mencari keindahan, keselesaan dan kemudahan di Cape Town. Great efficiency by the staff for any requests! Thank you for that! Only thing is that I would’ve appreciated faster internet connection! Pretty old mansion within walking distance from all the highlights of Cape Town. Staff was very friendly, apart from the girl in the office the last day (very stressfull and was screaming again personel). The swimming pool is not clean, but still good enough to cool down a bit after a long day out. 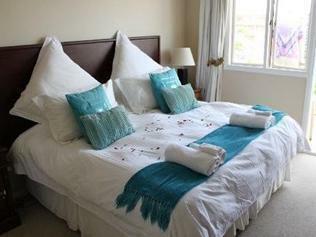 The guest house is conveniently placed for the V&A Waterfront area and stadium. There are also several restaurants close by. The popular tourist areas are easily accessible by car. The reception staff are extremely friendly and helpful. There was a small off road parking area which we used but I would imagine it is busy in high season. der junge Mann, welcher bei meiner Ankunft am Abend zwar schon weg war, gab sich Mühe und war sehr freundlich. 1) das Haus war schwer zu finden, das Schild kaum zu lesen / 2) das Haus ist sehr alt, es ist zwar sauber, aber die ganze Einrichtung ist völlig veraltet / 3) mein Zimmer Nr. 4 hinten raus, ohne jegliche Sicht, dünne Türe, gegenüber der Küche, ab 07.00h kein Schlaf möglich, da Frühstück gemacht wird / 4) mit den unöglichen Treppen, für ältere Gäste mit Gepäck absolut ungeeignet. gemäss Ihrer Information sicherte ich meine Buchung mit meiner Kredit-Karte, stellte aber bei der Abreise fest, dass der Betrag auf meine Karte belastet worden war - hätte gerne vor Ort in bar bezalht! - Kein erfreulicher Aufenthalt, zumal ich vorgängig nach Vorhandensein eines safes fragte, dies bejaht wurde, aber effetkiv nicht bedient, da das Personal nicht präsent ist. Pour un premier séjour au Cap, nous avons trouve que cette guest house offrait un bon rapport qualité prix. La chambre était propre et la salle de bain spatieuse. Nous avons aimé les couleurs de la chambre et la vue depuis le balcon. Le petit déjeuner était bien, nous y avons passé un sejour agreable.